Next post: What and Where are the Howgills? If you are on holiday at Cautley with your touring caravan you will not wish to be pulling it around the lanes every day. 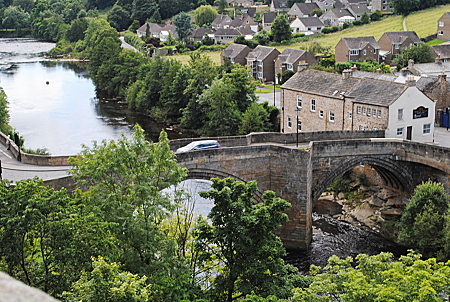 Why not leave the van in the caravan park and on one of the days take a trip to Barnard Castle, just over the Pennine watershed into County Durham? This trip is only one example of the great range of interesting places that can conveniently be visited while staying at Cross Hall Farm. Drive from Cautley through Kirkby Stephen to the A66 and then after less than twenty miles of mostly good dual carriageway over the Stainmore Pass you’ll arrive at Barnard Castle. History oozes from the rocks in this part of the country. 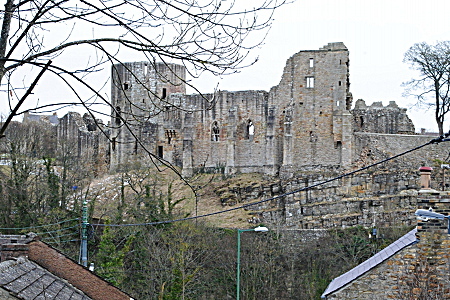 On arriving at the town straight in front of you are the massive ramparts of the medieval Barnard Castle itself (now the responsibility of English Heritage). This is well worth exploring, not only for the extensive and extremely well cared for castle ruins themselves but for the remarkable views from the walls over the River Tees and further up Teesdale. If you carry an English Heritage membership card entrance will, of course, be free. The winter photograph above was selected to show the sheer bulk of the combined rock and ramparts, towering above the River Tees. In summer much would be blocked out by leaves in the foreground. Below is a shot from the castle walls looking down on the Tees Bridge which dates back to the 16th century although it was strengthened after a massive flood in 1771. When you’ve finished exploring medieval ruins there are the Barnard Castle shops to explore. 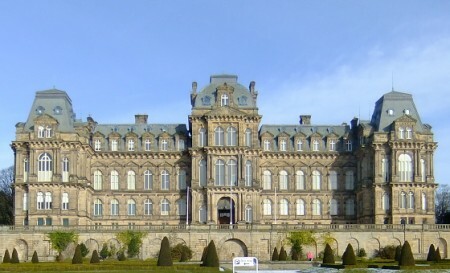 The town is also home to the Bowes Museum (pictured at the head of this article) which houses some remarkable artistic collections and hosts many outstanding exhibitions. Incidentally the Bowes Museum is quite distinct from Bowes Castle near which you will have driven earlier. 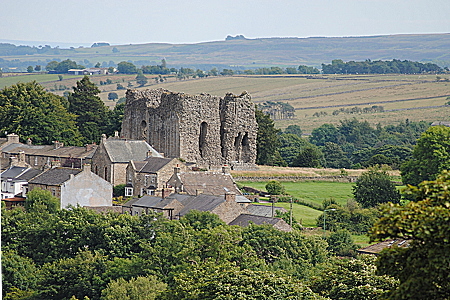 The village of Bowes, which is home to Bowes Castle (the remains of which are shown below), is to the west whereas the museum is to the east of Barnard Castle. The history of Bowes Museum is itself interesting, its name coming from its founder and not from its location. If, after the castle, the museum and shopping for Barnard Castle antiques in the town, you’re still ready for more you might want to take a drive up beautiful Teesdale, possible visiting the High Force waterfall. As an alternative to the A66 you could return through Middleton in Teesdale and over the North Pennine fells to Brough, then via Kirkby Stephen back to the Cautley caravan park.